Just because it might not exactly be grill weather, at least in my area of New York, just yet, doesn’t mean you can’t indulge in some steak every now and then. For me, since I don’t have an outdoor grill to use, all of my steak is done on grill pans, skillets or the oven to try to make up for the loss of the grill here. This particular recipe was nice change of pace from the regular steak dinners in that it adds a really nice glaze to the steak for the meal. The original recipe comes from Cook’s Country and is for sesame-hoisin-glazed flank steak. I did change things up a little bit for my own purposes, making use of London broil that I had purchased on sale instead of the regular flank steak, which costs a lot more money here. 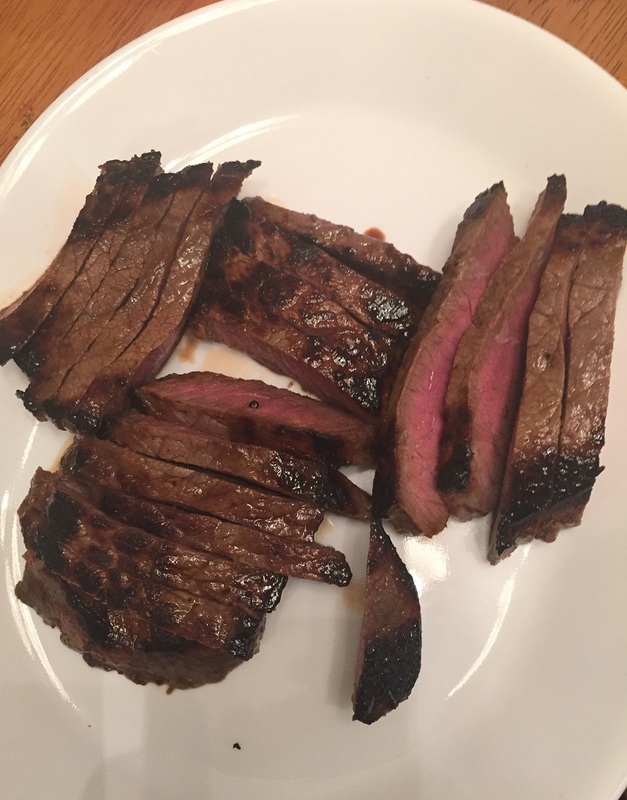 I did make one other change to the recipe in that I marinated the steak overnight to really get the flavors in and to help break down the London broil a bit since it can be a little tough sometimes. The end results were really good, so if you want to try it my way the only difference is that after the marinade I refrigerated the steak in the marinade in a resealable bag overnight. Otherwise, this is the original recipe from Cook’s Country. Whisk the hoisin sauce, rice vinegar, sesame oil, Sriracha sauce and cornstarch together in a medium bowl. Pat the steak dry with paper towels. At this point for my version of the recipe, place the steak inside a large, resealable plastic bag and pour the marinade over the steak. Close the bag and allow the steak to marinade in the refrigerator overnight before proceeding. Heat the vegetable oil in a large skillet set over medium-high heat until the oil is just smoking. Remove the steak from the marinade, if you did this step, and reserve the marinade. Cook the steak until it is well browned and the meat registers 125 degrees on an instant-read thermometer inserted into the thickest part of the steak (for medium-rare), about 5 to 7 minutes per side. Transfer the steak to a carving board and tent it loosely with aluminum foil, allowing the steak to rest for 5 minutes. Stir the hoisin mixture into the now-empty skillet and cook over medium-high heat, scraping up any browned bits, until the sauce has thickened, about 2 minutes. Slice the steak thin on the bias against the grain and transfer it to a platter. Stir in any accumulated meat juices into the sauce and spoon the sauce over the meat. Sprinkle the meat with the cilantro and toasted sesame seeds and serve. You get quite a combination of flavors here with the hoisin sauce, sesame oil and the rice vinegar, not to mention the nice kick of heat you get from Sriracha and the cornstarch really does add something to the texture of the glaze for the steak. The meat was perfectly done and marinating overnight seemed to really enhance the London broil in my eyes. If you have the time to plan ahead the marinade works well but if you are looking for an easy meal for during the week that you can do in under 30 minutes, skipping marinating the meat and just make the glaze and you will be fine. Even though the weather has taken a decidedly chillier turn in the last few days here even though it is spring, I had been in the mood for something a little more tropical, at least as far as dinner. 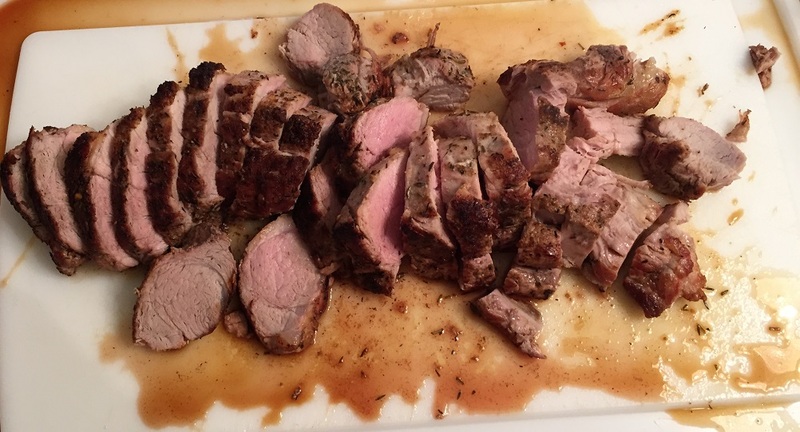 I have actually picked up a bunch of different pieces of pork over the last few days as they were having a sale so I was able to get pork tenderloin, a pork loin roast and some center cut pork chops at a really good price so I wanted to make something that would be a little spicy a different from what we usually have when it comes to pork tenderloin. I had recently seen a recipe in Cook’s Country for a jerk pork tenderloin with arugula and pineapple salad. 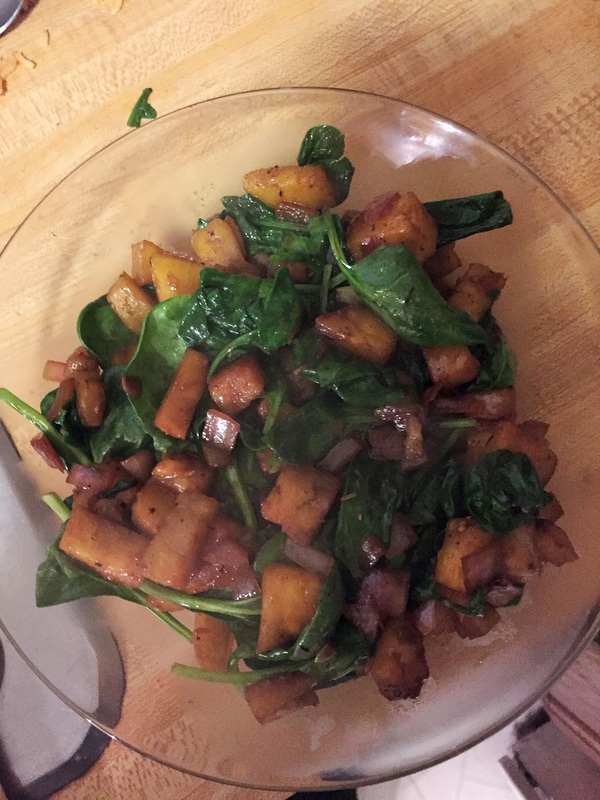 The recipe sounded quite delicious and the ingredients for pretty basic, though I did not have any arugula in the house but I did happen to have some spinach on hand that I could use as a replacement. So I set about making this recipe for dinner so that we could have a little bit of a Caribbean flair even though it was only 45° outside. Adjust and oven rack to the middle position and heat the oven to 450°. Set a wire rack inside a rimmed baking sheet. Pat the pork tenderloins dry with paper towels and season them with 2 tablespoons of the jerk seasoning. Heat 1 tablespoon of the vegetable oil in a large skillet set over medium-high heat until the oil is just smoking. Cook the pork tenderloins until they are browned on all sides, about 5 to 7 minutes. Transfer the pork tenderloins to the prepared wire rack. Roast the pork until the meat registers 140° on an instant-read thermometer inserted into the thickest part of the tenderloins, about 15 to 17 minutes. Transfer the pork tenderloins to a carving board, tent them loosely with aluminum foil, and allow them to rest for 5 minutes. Heat the remaining 1 tablespoon vegetable oil in the now-empty skillet set over medium-high heat until the oil is shimmering. Add the pineapple pieces, red onion, orange juice, cayenne pepper, and the remaining 1 tablespoon of the jerk seasoning and cook, scraping up any browned bits, until the onion is just softened, about 3 to 4 minutes. Off the heat, stir in the baby spinach. Season the mixture with salt and pepper to taste. Slice the pork tenderloins, transfer the slices to a platter, and top the pork with the pineapple mixture. This is another great simple recipe from Cook’s Country that you can have completed in under 30 minutes and with just a few ingredients. The pork had great spice flavor from the jerk seasoning and you can use any seasoning you like to flavor the pork. Personally, I used the Island Jerk Rub that is from Pepper Mary and it had just the right amounts of spice to it and some great heat and it also helped to make a really good crust on the outside of the pork. I really enjoyed the mix of the pineapple with the arugula and it made a nice touch on top of the pork. The sauce that was created from the pineapple and the orange juice was not overly sweet and thickened to a nice consistency. In my opinion, pineapple goes really well with pork so it made a perfect addition to the dish. I think the spinach worked out just as well as the arugula might have and Sean actually enjoyed having the spinach they are instead of the peppery flavor that arugula often has. It is certainly a recipe worth remembering if you want a nice, spicy dish that you can make quickly during the week. it has been a long day after a long weekend and I have been going non-stop since 5:30 Am here with work, plumbing problems, the dog barking at the plumber for hours and all kinds of other fun stuff. I was pretty sure I would never be able to get to blogging today but I calmed down, got all my work done, got the plumber done and the dog asleep so I actually have time to do a short post. it is actually perfect that I have this really easy side dish recipe to offer up today. Mexican rice goes well with not just Mexican style meals but with nearly any type of meal you could make and I made some last week when I made chicken tostadas for dinner and we have used the leftovers for other meals since then. This particular recipe comes from The New York Times and uses ingredients you are likely to have around your home so you can put it together easily. Blend the garlic, tomatoes, bell pepper, onion and jalapeno, salt and chicken broth or water together in a blender until the mixture is a mostly smooth puree. There will be a few small pieces of onion and pepper throughout, which is fine. In a large skillet with a tight-fitting lid, heat the vegetable oil. Add the white rice and toast the rice until it absorbs most of the oil and begins to smell nutty. Add the blended ingredients to the rice and stir gently with a wooden spoon to prevent breaking up the rice too much and bring it to a light boil. Cover the pan, reduce the heat to the lowest setting possible and cook the rice undisturbed for 17 minutes. Let the rice sit for another 10 minutes before serving. 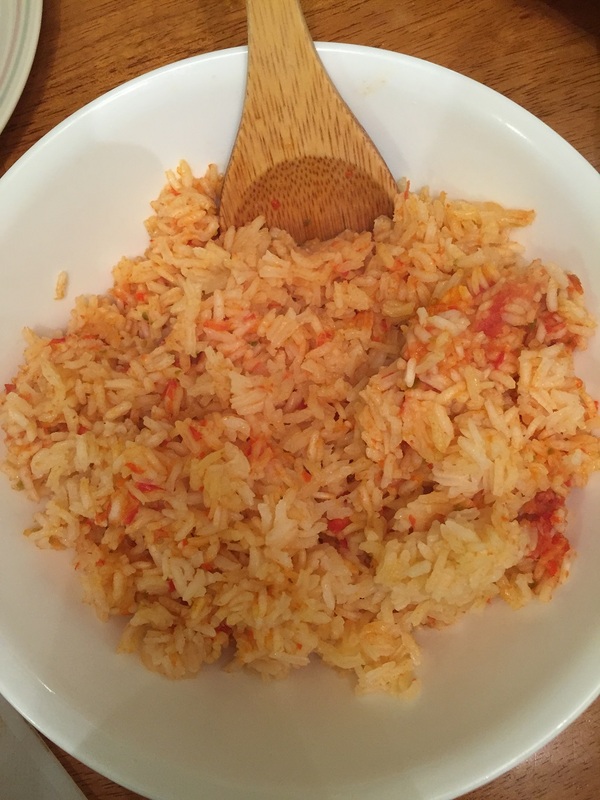 I used fresh tomatoes instead of canned because I had some fresh ones on hand and I liked the fresh taste they provided to the rice. The jalapeno added a nice little touch of heat to the rice but the simplicity of the dish is what makes it perfect to do as a side dish with some quick Mexican meals during the week like tacos, quesadillas, tostadas or burritos. I think the rice would go nicely with a steak, pork chops or some chicken as well because it is so easy and versatile. it’s a nice recipe to be able to pull out when you want an easy side dish to make for nearly any type of meal so you can just use some simple ingredients and put it all together. That’s all I have for today. Check back next time for another recipe. Until then, enjoy the rest of your meal! If you have been following along on my blog with me, you know that I like to use a lot of recipes from Cook’s Country. It is perhaps my favorite cooking magazine and I like to use the recipes because most of them are pretty easy, use basic ingredients, and taste great. the magazine only comes out every other month, and since their website is a pay website if you want to access the recipes, I don’t mind sharing the ones that I try out so you can see just how good they are. 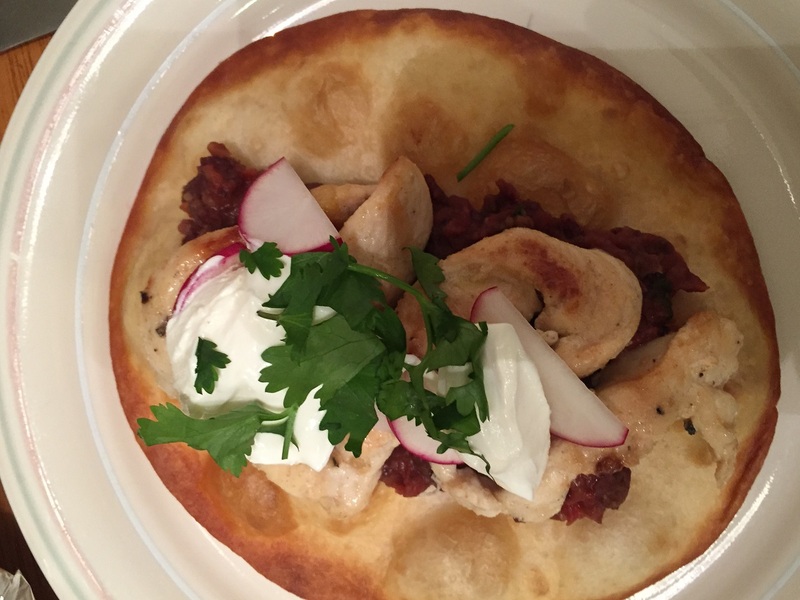 Such is the case with this chicken tostada recipe I made this week, which was in the latest issue of Cook’s Country. I have made tostadas before, and they are pretty easy to put together, and this one incorporated some nice spicy black beans into the recipe and since I love black beans personally, I knew I wanted to give this recipe a try. Pat the chicken dry with paper towels and toss it with the ground cumin, 1/2 teaspoon of salt and 1/2 teaspoon of black pepper. Heat the vegetable oil in a large nonstick skillet set over medium-high heat until it is just smoking. Cook the chicken until it is browned and cooked through, about 5 to 7 minutes. Transfer the chicken to a plate and tent it loosely with foil to keep it warm. Return the now-empty skillet to medium-high heat and add the black beans, tomatoes and 2 tablespoons of the cilantro. Cook, mashing the beans with a potato masher, until the mixture is thickened and the liquid has evaporated, about 5 minutes. Season the mixture with salt and pepper to taste. Arrange the tostadas on a serving platter. Spoon 1/2 cup of the bean mixture onto each tostada. Evenly distribute the chicken, feta cheese, radishes and the remaining 2 tablespoons of cilantro over the bean mixture. Serve with sour cream and lime wedges on the side. A couple of quick notes about the recipe. The original recipe calls for a can of diced tomatoes and green chiles, which I did not have, so I just used diced tomatoes and diced up half of a jalapeno pepper and included it in the mix. It tasted nice and fresh to me this way. I did not use corn tostadas, again because I did not have any on hand, but instead used small flour tortillas I had on hand and fried them in oil for a minute to crisp them up nicely. These worked fine for me as well and everyone seemed to like them. I also did not use feta since we aren’t much for feta in this house and instead I offered up some Mexican cheese blend for Michelle and Sean since they are the cheese eaters in the house. The tostadas were delicious and the bean mixture on the tostadas was perfect, giving just a little bit of spice and a nice refried beans texture to the dish. We gobbled up every last bit of them and I did make some easy Mexican rice to go alongside the dish, which I will post the recipe for tomorrow. 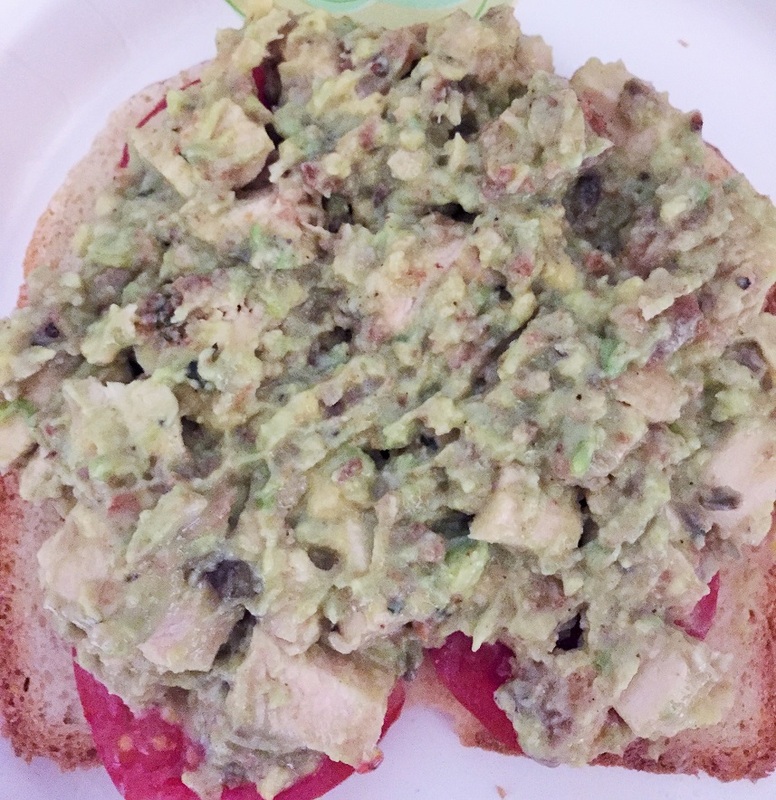 The lime wedges and sour cream topped it all off, and even some fresh avocado would be nice along with these also. It’s a very easy meal for any night of the week.